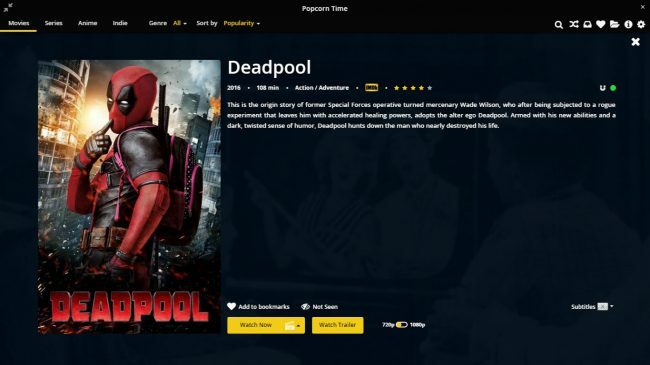 Popcorn Time app can stream the movies and the TV shows without downloading torrents. It’s identical to Netflix but streams through torrent files. You can select video resolution size and subtitles. The app has clean and a simple interface. You just need to select and play your favorite movie or TV series. 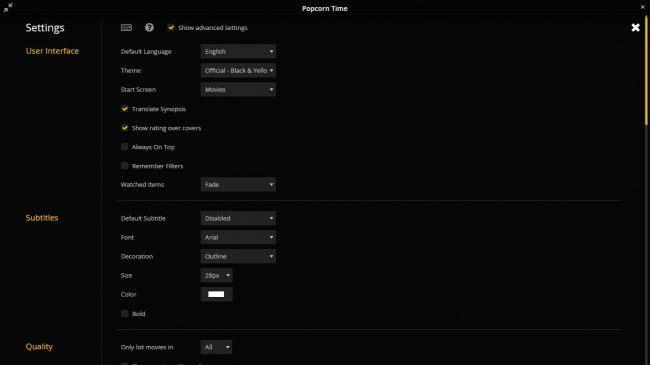 You can change video resolution or subtitles of your choice. 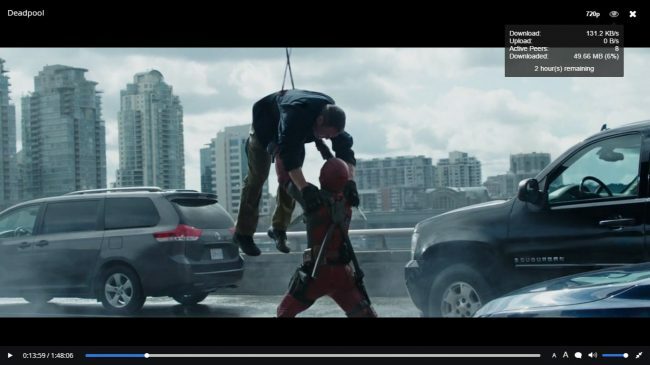 Simple video playback with video stream details. 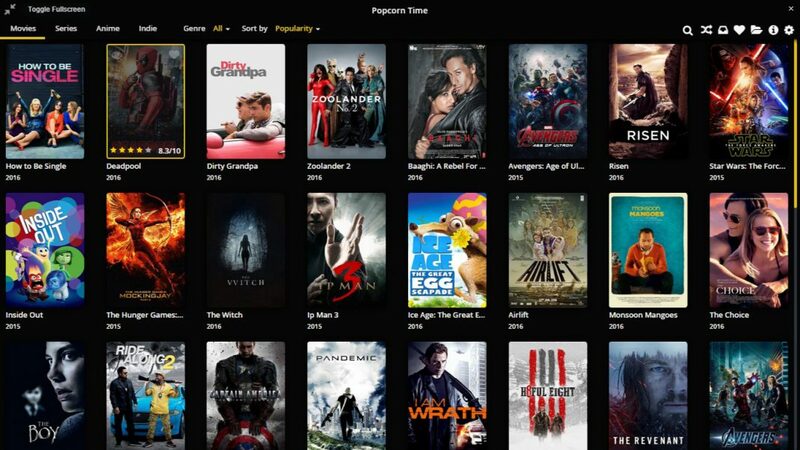 Popcorn app can stream video listed by several torrent websites. It’s also possible to manually add torrents or search your favorite site for torrents with-in app. If you are in lots of video torrent downloads, then this app is the safe bet for you. As you can save some hard disk space by watching movies online. The app is available on most of the platforms including Windows, android and Mac. The app plugin is also available for browsers.